Spare your patients the discomfort of a conventional impression tray. 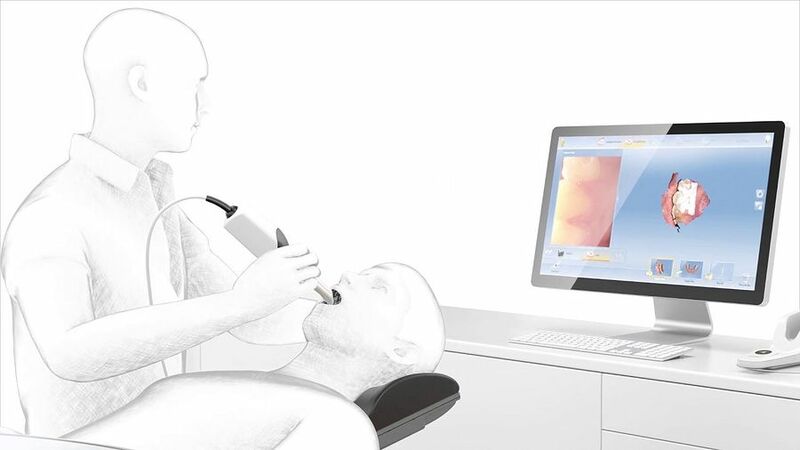 For example, you can take digital impressions using the CEREC Omnicam, a small powder-free color camera. It is available in three different versions: the proven mobile CEREC AC cart version, the flexible tabletop CEREC AF, and the integrated, ergonomic CEREC AI. You have the choice depending on the workflow in your practice and the space available.